Since being discovered in 1609 by English explorer Henry Hudson, New York State’s mighty Hudson River has been called many things. Some of them unprintable. 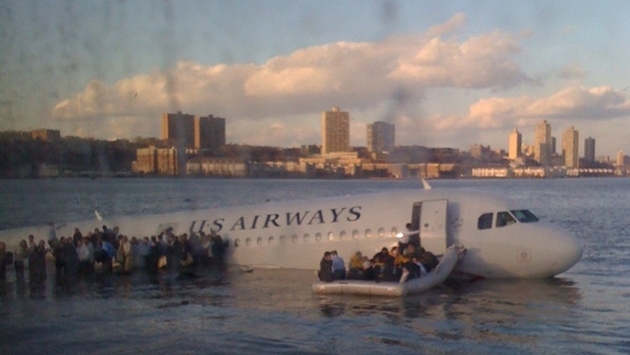 But five years ago today came the “Miracle on the Hudson” when US Airways Capt. Chesley “Sully” Sullenberger stepped into aviation lore after successfully splash landing Flight 1549 into the water when both engines were disabled after hitting a flock of birds shortly after takeoff from LaGuardia Airport. All 155 passengers and crew survived virtually unscathed. Sullenberger and his First Officer, Jeffrey Skiles, were piloting an Airbus A319 bound for Charlotte, N.C., one of US Airways’ hubs. The incident happened 100 seconds after takeoff. In what has now become symbolic, Sullenberger had 208 seconds – just over three minutes – to decide among three options being suggested by Air Traffic Control. He could turn back to LaGuardia. 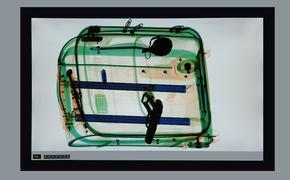 He could try for Newark Airport in New Jersey. Or he could continue in a straight line traveling west and try to land at smaller, but accommodating, Teterboro Airport in Teterboro, N.J.
Sullenberger rejected all three of those options, deciding he had neither the time nor the control of what was now essentially a glider to guide it to any of the three airports. Instead, he banked left and made a perfect water landing in the frigid – but, thankfully, calm and ice-free – Hudson River. Ferries and other rescue boats rushed to the scene as passengers and crew gathered on the wings of the floating plane. Although it continued to take on water, Sullenberger and Skiles made two passes through the cabin to make sure all passengers were out. Here’s a great animation video of what happened to U.S. Airways 1549, with actual Air Traffic Control audio.